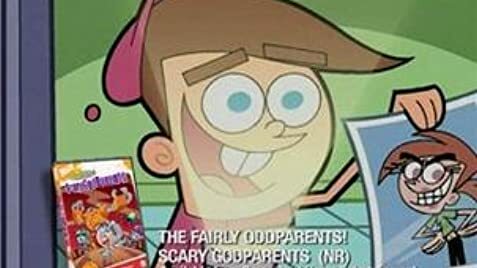 How many episodes of The Fairly OddParents have you seen? 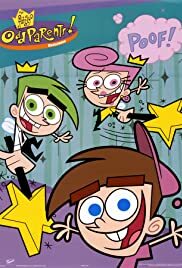 Fairly Odd Parents has grown to be one of my favorite cartoons.Yes,I'm 14 but no one ever said I was too old for cartoons. This show is about a 10-year-old kid who wears a silly pink hat named Timmy,an out-going kid with no common sense and a short attention span.He deals with being a loser at school,not being able to spend as much quality time with his parents and his worst enemy and fear of all (duh,duh,duh)Vicky,his evil 16-year-old babysitter.For poor Timmy Turner,he has no control over his life until one day two magical creatures come into his life and explain to Timmy that they're his new fairy godparents who can grant him unlimited wishes.Oh wait,there's a catch,along with his fairy godparents come a rule book known as "Da Rules" which limit him to most wishes.From that day on,Timmy makes bigger wishes which lead to bigger adventures that often lead him into trouble.However,while his fairy godparents have to grant the wishes,they love him like their own child and act as his mentors,well one of them at least.There's Wanda,the smart and bossy pink-haired godparent who often gives Timmy guidance.There's also her husband Cosmo,the dim-witted yet hilarious godparent who unlike his wife,leads Timmy into awesome but often dangerous adventures and while Wanda is the common sense of the trio,he's the comic relief.With just a spin of their wands,Timmy takes another step to great adventures as well as good lessons. Recently,I don't think most of the new episodes have been doing so well but I absolutely love the classic episodes such as "A Wish Too Far","Boys in Band and many more.Even though I love every character on this show,Timmy is most likely my favorite character because even if he can be selfish,he's sympathetic and considerate of others.He's also your typical 10-year-old who wishes for what any kid would want.What I love about this show is the humor,the eventual spoofs,some running gags,the characters and the fact that everyone on this show is a complete idiot.However,what I love more are the relationships in this show.I love what Timmy has between his parents as well as his fairy godparents.I saw AbraCatrasphe (sp) and I thought it was cute how Timmy said he loved Wanda as much as Cosmo.I also liked how Timmy confessed about his godparents and Wanda and Cosmo wouldn't go because they loved Timmy.So despite most goofs and the recent downhill episodes,I love this show and I want to rate it a 7/10.